Midway through your fitness or weight loss journey, it’s common to lose motivation, feel burnt out, or start slacking on your workout goals. This frustrating slump can happen for a variety of reasons. First, you may have hit a plateau and stopped seeing results in your body. No matter how closely you stick to your diet or workout plan, the scale isn’t budging, and all your hard work just doesn’t feel worth it. Or, maybe you’ve made massive progress towards your goals, and your initial motivation has dropped off even though you still have ten pounds to lose (or ten pounds of muscle to gain). No matter what’s causing this midway slump for you, we know it’s frustrating and discouraging. Deep down, you still want to pursue your goals and create results, but the day-to-day commitments feel too hard. When you’re in the midst of this difficult period, it’s critically important to track your progress. Measuring your progress is one of the best ways to stay motivated and committed to your goals, even when it’s tough. But, there’s one important thing to remember. You have to focus on the right things when you’re tracking your progress. Especially if you’re in the middle of a plateau, you want to keep your focus off your weight (or any other potentially discouraging numbers). Instead, here are four ways to track your fitness progress and stay motivated...without stepping on the scale. It’s easy to focus on the results (or desired results) or your fitness efforts. Size 2 jeans. 30 pounds lost. 9% body fat. But these numbers don’t always tell the whole story, and sometimes they’re out of our control. Instead of fixating on your number goals—which can be pretty frustrating at times—stay focused on the time and effort you’re investing in your health goals. Track, measure, and celebrate your healthy actions: the number of gym sessions you’ve showed up for, the number of miles you’ve run, or the number of reps you’ve completed in a workout. These consistent actions will eventually lead to awesome results, but you don’t have to worry about that for now. At times, the scale can start to feel like the enemy in your weight loss journey. And, for a number of reasons, your weight can stay constant for a season while other changes occur in your body. 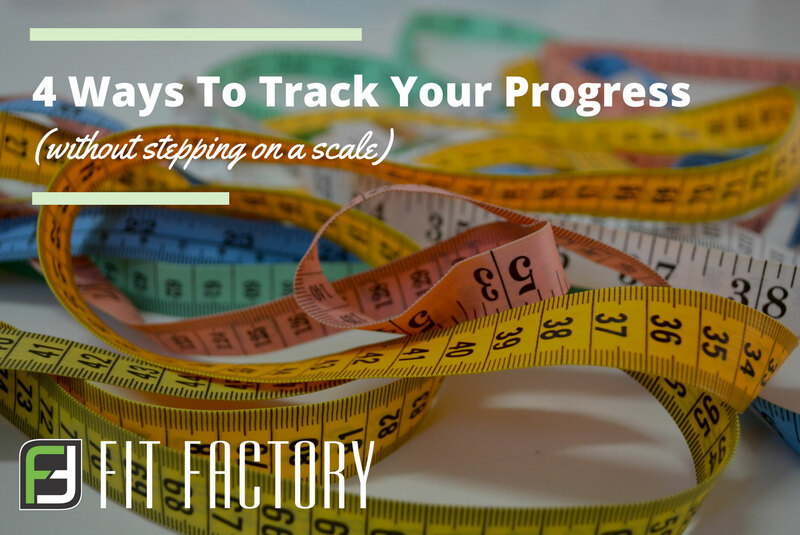 So, instead of beating yourself up for seeing the same number on the scale over, and over, and over again, start tracking something else: inches. Put the scale away for a while and take out a measuring tape instead. Once a week, carefully measure key areas of your body (thighs, hips, waist, chest, arms) and see if those numbers are shifting even while your weight isn’t. There’s nothing wrong with wanting to change your physical appearance. You want to feel good when you look in the mirror, you want to rock that swimsuit on vacation, or you want to fit back into those jeans. But those big physical changes happen slowly...and that can be really discouraging. So, shift your focus away from your appearance for a couple weeks and pay attention to how you feel instead. After every workout and every healthy meal, keep a simple diary of how you feel. Start to notice how your healthy choices shape your mood, your confidence, your stress levels, your energy levels, and your perspective. Sometimes, making difficult lifestyle changes can feel like a really negative process. Every day, you’re saying “no” to your favorite foods, “no” to sleeping in, “no” to hours of TV every night. If you’re starting to feel resentful about your commitment to a healthier lifestyle, it might be time for a shift in perspective. Instead of focusing on all of the things you’re saying “no” to, start noticing everything you’re saying “yes” to. No matter where you’re at on your fitness journey, use these four strategies to track your progress, stay motivated in challenging seasons, and celebrate healthy choices. You’ve got this!